1987-current Accountant serving individual and small business clients. Developed the online financial management and advisory services offered through OnlineAdviser, OnlineNavigator and Freedom Benefits. 2013-2014 Auditor with the Pennsylvania Public Utilities Commission. 1995-2008 Founder of MedSave, a first generation insurance exchange. 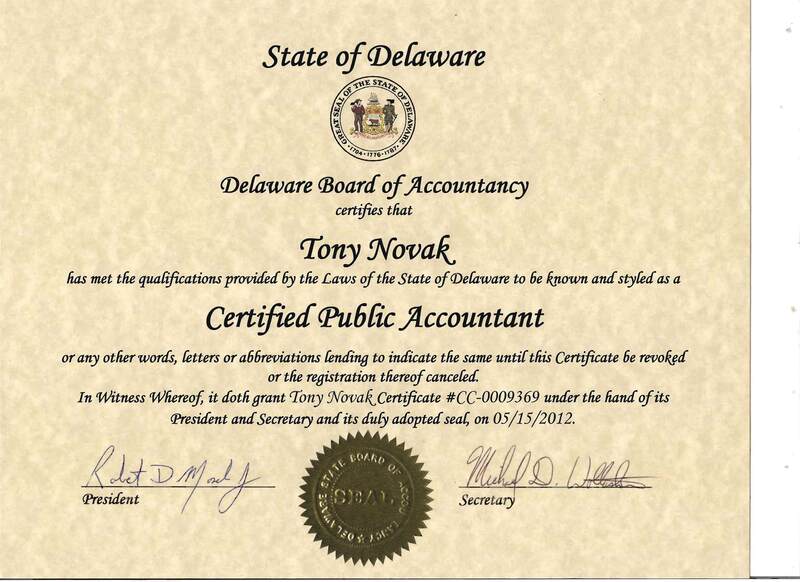 Certified Public Accountant, State of Delaware license #CC-0009369 and #CC-0003632. National Association of Health Underwriters certification in Consumer Driven Healthcare, 2011. Certified QuickBooks ProAdvisor, recertified in 2015. Former accredited business member of the Greater Philadelphia Better Business Bureau. Former member of the Brain Injury Association of New Jersey.